Back in 2009 I did a little blog post on my PiercingMetal Musings announcing that the entire catalog of The Beatles was being remastered and released in both Stereo and Mono box sets. Fans that only wanted a few select albums would have the chance to snare those as well and you can refresh your memory HERE if you like. Well now the big news is that this same catalog is finally available on iTunes and it really was not as timely as people had expected. Its been out on physical CD in the new version for over a year but there was some issues in getting the proper okays to do it in the digital manner. 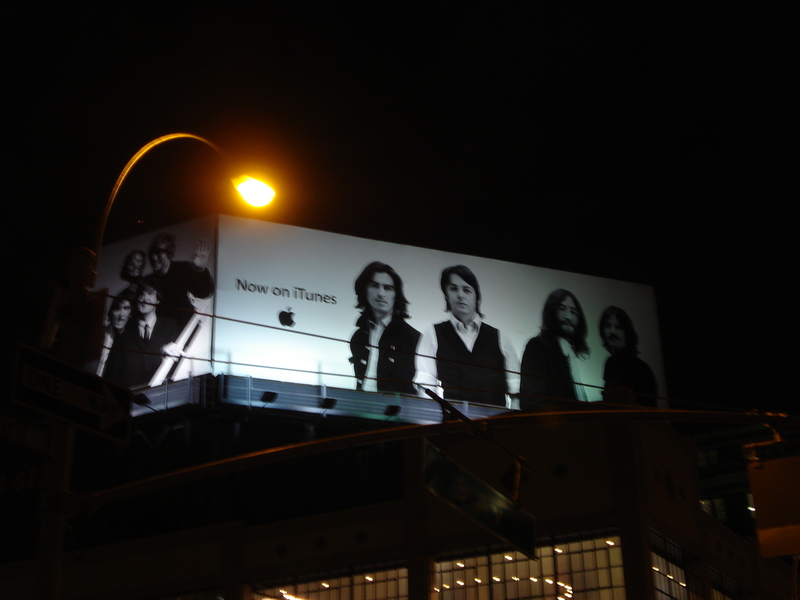 That made me decide to add the new news to the side blog since I was walking down 14th Street and saw that massive billboard on top of the Apple Store for all the world to see. Personally speaking, I prefer The Beatles catalog on CD and not MP3 but that is probably because I no longer have a digital music player.